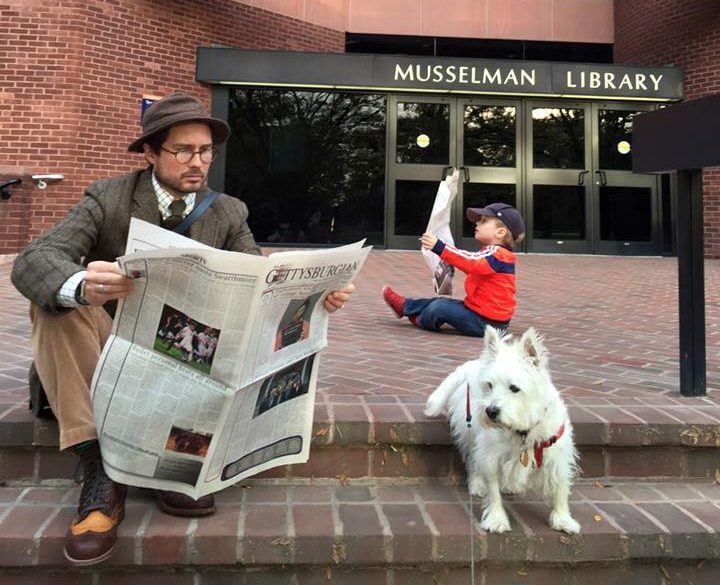 April Fools: 21 Ways to Use Gettysburgian Print Editions Besides Reading Them | The Gettysburgian. Some traditions are meant to die. Promulgating misleading statistics about Greek Life participation to unsuspecting parents of prospective students, eating every meal after one’s first year at the Bullet Hole, and, yes, the biweekly ritual of printing a student newspaper. Gettysburg’s recent spate of budget cuts—Orwellianly dubbed “sustainable excellence”—has axed many anachronisms of a bygone era, but print media endures just as it has since 1897 (save for a brief period in 1972, but that’s a different story). For many years now, our print circulation has been in decline. Recent scientific surveys have found that approximately the same number of students read our print edition as read the Digest: two. It’s us. We can’t blame people for not wanting to read the news from a flimsy, ink splotch-infested disaster, as our print edition unfortunately appears fairly regularly. Blurry photos, inky residue on your hands, and a paper size totally inconvenient to take anywhere—what else could you want! Well, fear not, as I have eight other ideas for how you can use The Gettysburgian’s print edition. A fire starter. It’s pretty self-explanatory, and the news coverage is often pretty explosive anyway. Wrapping paper. Thrifty students already do it around the holidays every year. A paper airplane. The chemicals used in the ink are probably flammable and could provide the propulsion needed for lift off. To light funeral pyres after the death of one’s GPA. Noticing a theme? An umbrella. Though, beware, if it’s raining and you use the print edition to shield yourself, you are liable to end up with black ink all over your clothing. For a papier-mâché squirrel. Is any explanation needed? To wipe down mirrors. Unlike paper towels, the print edition leaves no streaks! A pillow. Pro tip: the hard news is on the outside, so flip to the inside pages for softer news. Beaver hors d’oeuvres at the local zoo. Tastes like chicken. Housebreaking a dog. No poo here! Fly swatter. Unless you are a member of PETA. Origami. Unless you don’t want to appropriate another culture. Making a ransom note. There’s more than one way to get an A.
Clutter for your desk. Let’s face it, important people have clutter on their desk. Surveillance. All great spys poke holes in a newspaper for an easy stakeout. Our stories already have holes. Headwear. It’s a scarf. It’s a bowler. It’s a sailor’s hat. Let your imagination decide. Towels. It’s pretty dry and mildly absorbent. Tissues. Because God knows the Health Center can only give you salt packets. A Blanket. For when you find yourself as the Senate Treasurer in a cold jail cell. Food Preparation. You have to wrap your Bullet sandwich with something. A piece of scrap paper to write down where you can find news coverage any time you want as opposed to just at inconveniently placed two-week intervals (gettysburgian.com).